The Avaya G350 Media Gateway forms part of Avaya Enterprise Connect, Avaya’s solution for extending communication capabilities from the headquarters of an organization to all collaborative branch locations. Avaya Enterprise Connect helps you provide the same high quality services to all organization members, regardless of their location. The G350 is a high-performance converged telephony and networking device that sits in a small branch location, providing all infrastructure needs in one box — telephone exchange and data networking. The G350 is designed for use in a 16-24 user environment, but can support sites with up to 40 stations. Featuring a VoIP engine, WAN router, and Power over Ethernet LAN switch, the G350 provides full support for legacy digital and analog telephones. 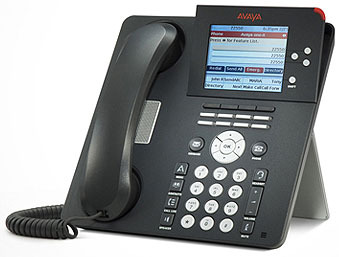 The G350 integrates seamlessly with Avaya Media Servers S8700, S8710, S8500, and S8300, running Avaya Communication Manager call processing software to provide the same top quality telephony services to the small branch office as to the headquarters of the organization. The Media Server can be located at the headquarters and serve the G350 remotely. The G350 can optionally house an internal Avaya S8300 media server as a local survivable processor or as the main media server for standalone deployment. In addition to advanced and comprehensive telephony services, the G350 provides full data networking services, precluding the need for a WAN router or LAN switch. The G350 is a modular device, adaptable to support different combinations of endpoint devices. Pluggable media modules provide interfaces for different types of telephones and trunks. A combination is selected to suit the needs of the branch. A LAN media module with PoE standard compliant Ethernet ports provides support for IP telephones as well as all other types of data devices. A range of telephony modules provides full support for legacy equipment such as analog and digital telephones.